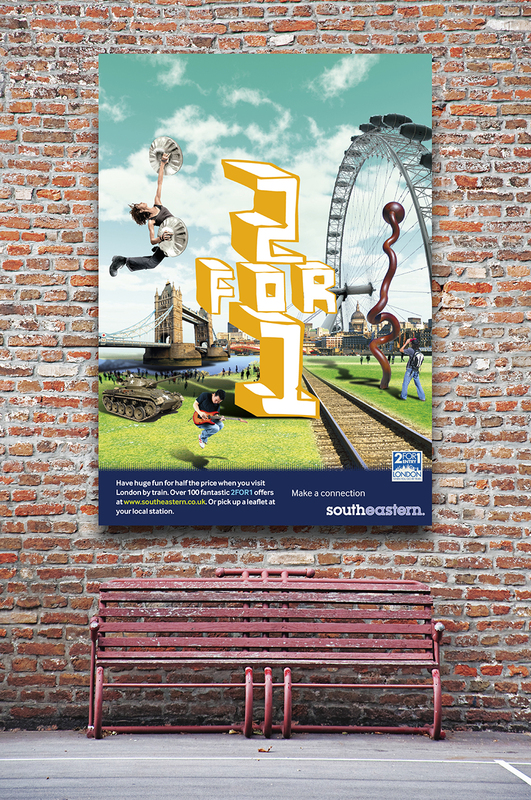 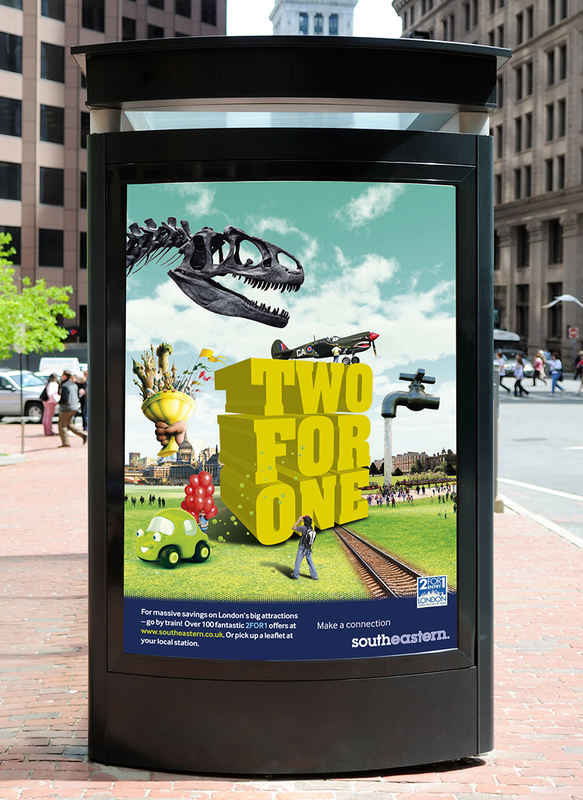 Southeastern Rail day trip campaign. 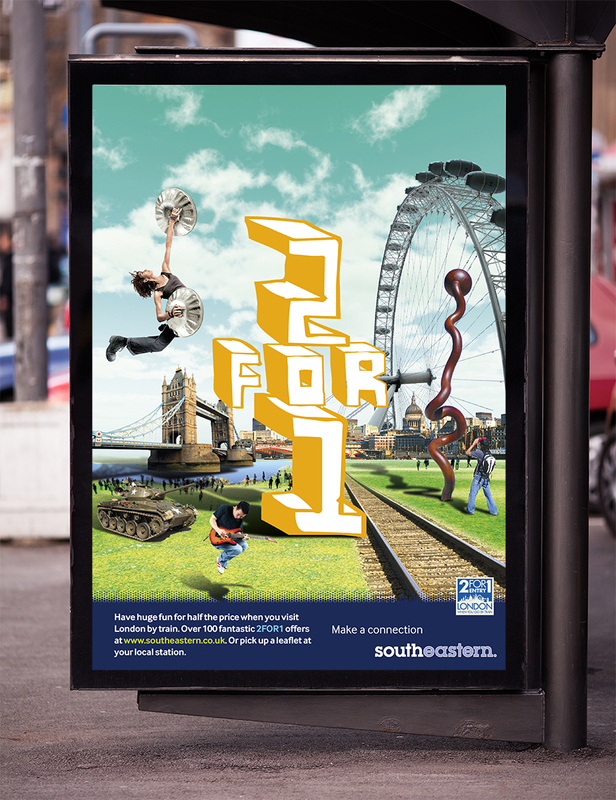 The campaign inspires customers to plan a journey to London as a great day out, using the train. 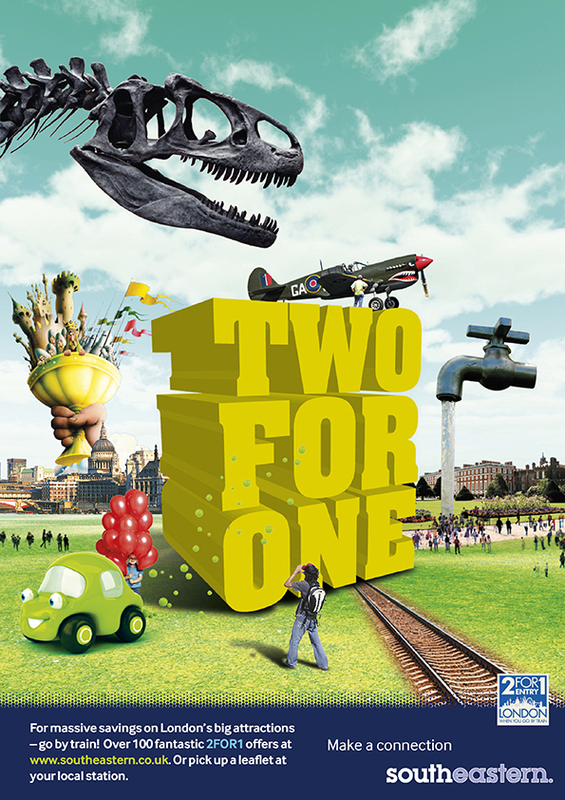 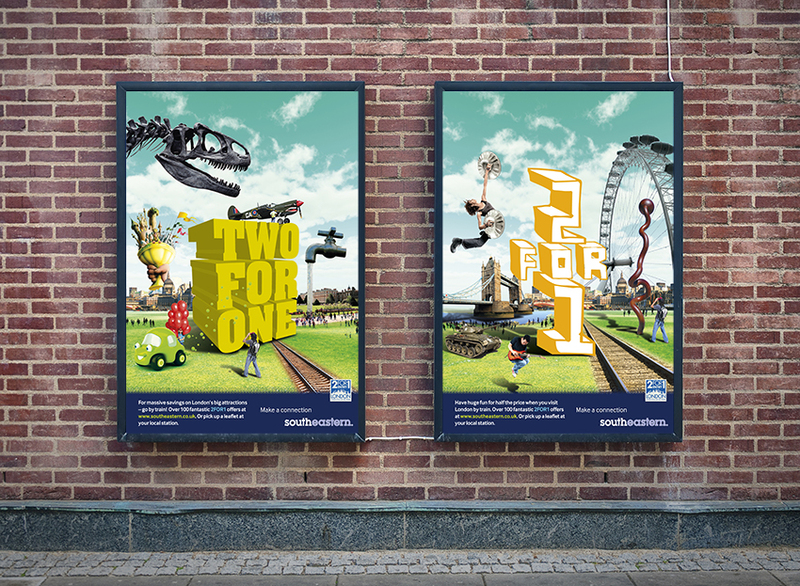 Our creative pushes London’s vibrancy and abundance of top attractions to visit, all of which are part of the great value, 2 for 1 deal.